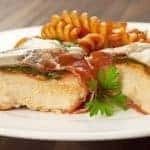 Florentine is a French term meaning “in the style of Florence (Italy)” and generally refers to a dish served on a bed of spinach and topped with Mornay sauce. 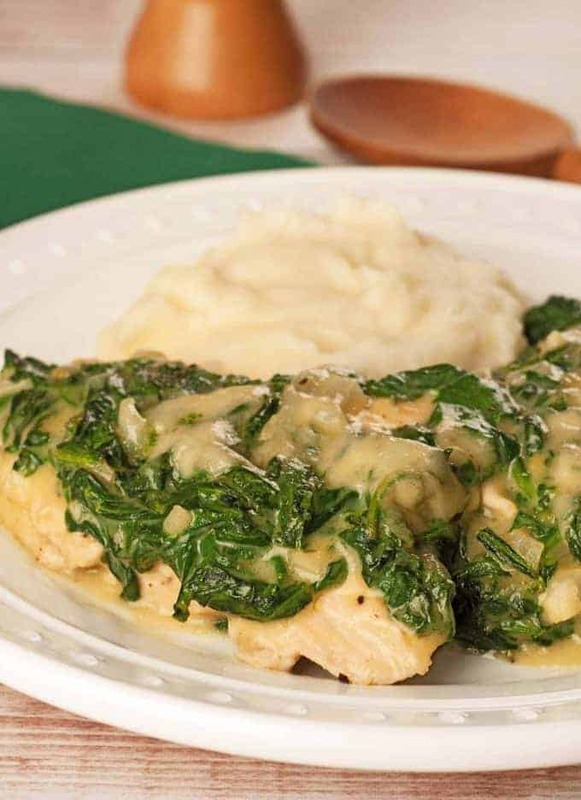 Our easy version of this classic combines boneless chicken breasts, fresh spinach and a creamy sauce subtly flavored with sherry and Dijon-style mustard. 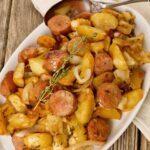 Topped with a little grated cheese and finished in the oven it goes great with mashed potatoes. Add a green salad to round out a simple, satisfying meal. 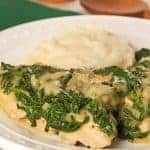 A weeknight-quick version of a classic dish, this easy Chicken Florentine recipe is made with boneless chicken, fresh spinach and a quick, creamy sauce flavored with a hint of sherry. 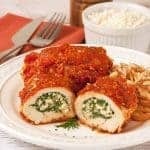 Place the chicken breasts between two sheets of plastic wrap and gently pound them to an even thickness of 3/8-inch. Heat the olive oil in a large pan over medium-high heat. 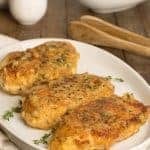 Add the chicken in a single layer (work in batches if necessary) and cook until light golden and cooked through, 2-1/2 minutes per side. Transfer to a buttered baking dish large enough to hold the chicken in a single layer and set aside. Reduce the heat to medium and add the butter to the pan. Once melted, add the onion and sauté until softened, 3 minutes. Add the garlic and continue cooking 1 minute longer. 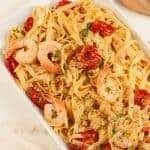 Whisk in the flour and cook until well blended and golden in color, 2 to 3 minutes. 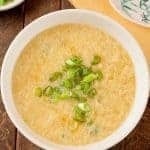 Whisk in the sherry until blended, then start whisking in the milk in 1/4 cup increments, blending until smooth after each addition. Stir in the nutmeg and mustard, then add the spinach. 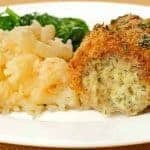 Continue cooking, stirring often, until the spinach is completely wilted and nicely coated with the sauce, 2 to 3 minutes. Remove from the heat. Spoon the spinach mixture over the chicken. Top with grated cheese and bake until the cheese has melted, 7 to 8 minutes. I make something very much like this-only i use a little dill, lemom juce & zest and feta cheese which is excellent too-everything else is the same. The lemon, dill and feta sounds like a great combination – thanks for taking the time to add the info. We’ll have to give it a try.